I typically am not one to sleep in on the weekends and I usually have a little time to kill before my day really gets started, so I tend to turn on the TV and sit on the couch with the dog. Most of the time the TV is just on for noise, but occasionally there’s something worth watching. One recent, rainy morning, I happened across a cooking show promoting its recipes to feed hungry ranchers. I thought it might be interesting to see what was on the menu, so I settled in to watch. It didn’t take long for me to realize the producers of the show really have no idea about the cattle business. The host said farmers receive more than $2,000 per “cow.” That price is a little high for the current market trend, but we’ll give them that one. However, there was no mention of the cost to get that animal to slaughter weight or how long it takes, feed costs, vet bills or what a breakeven point would be for the producer. A chef was the host and went on to say farmers throw away millions of dollars worth of “scrap” beef annually because there are limited “desirable” cuts available. However, he contended, if farmers can figure out how to use those scraps, which he said included cuts like tri-tips and flank steak, they would make more money per head. In the words of one of my favorite TV ladies, this isn’t how any of this works. The majority of consumers have limited knowledge about the agriculture industry and some accuse farmers and ranchers of “getting rich” on a family’s need for food, but as we all know, farmers and ranchers receive nothing near the price consumers see at the meat counter or at their favorite steakhouse. The same holds true for dairy, pork, poultry, produce and grain producers. Information from the U.S. Department of Agriculture states that retail prices are about $3.70 for ground chuck and $8.54 for choice boneless cuts. In 2017, farmers’ and ranchers’ share in the beef market was about 44 percent, down from 55.2 percent in 2015. Pork producers received only 23.1 percent. Yep, farmers and ranchers sure are getting rich. In actuality, there are very few “scraps” in the agriculture industry that aren’t used in some way. From tires to fuel, cosmetics to marshmallows, crayons to computers, there are countless products with ties to the agriculture industry. It’s disappointing when false information about agriculture is presented as fact, even if no ill intent was meant. 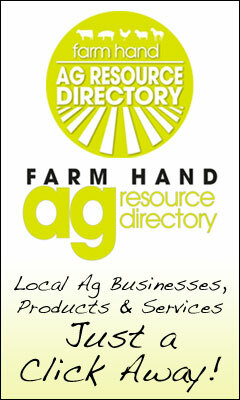 The show attempts to show ways to reduce food waste by utilizing what is available in an efficient way, but the information regarding the beef production is still incorrect and did nothing to help the industry. It may actually add a little fuel to the anti-agriculture fire we face today. Unfortunately, television and the Internet are the closest many Americans will ever get to a farm or ranch, so what they see and read will be the only information they have. Today’s consumers don’t realize most farmers and ranchers are only the originators of the products and don’t set the prices. The public may not see the time and dedication it takes to raise livestock and crops, but are quick to complain about the price tag in the store. What they are forgetting is that the United States has one of the safest food supplies in the world, and one of the most affordable. While we won’t make everyone happy, if someone is complaining about the prices farmers receive for their products, remind them not to do it with their mouth full. Speaking of food, it’s time to submit your favorite recipes for our annual Christmas Cookbook! We’re taking submissions for everything from appetizers to apple pie, fruit punch to fruit cake, zucchini bread to Zimtsterne (a German Cookie). Show us what you got! Julie Turner-Crawford is a native of Dallas County, Mo., where she grew up on her family’s farm. She is a graduate of Missouri State University. 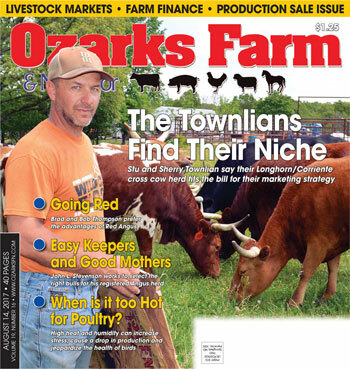 To contact Julie, call 1-866-532-1960 or by email at editor@ozarksfn.com.